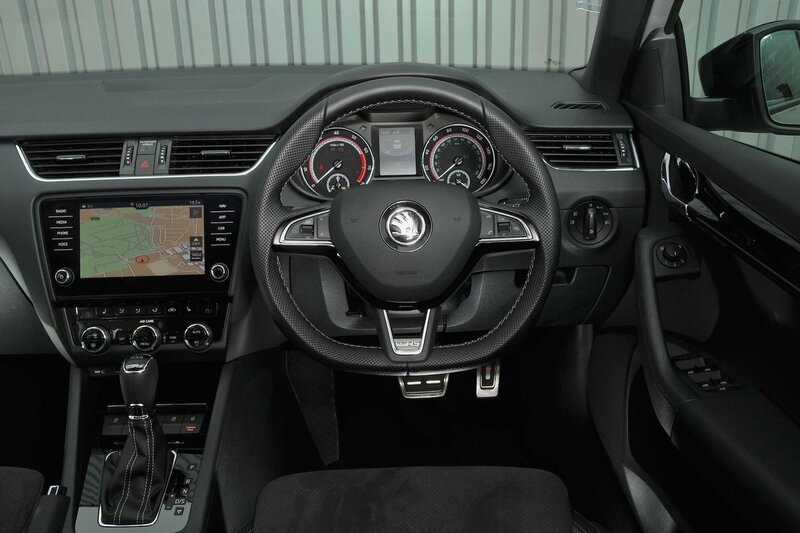 Skoda Octavia vRS Interior, Sat Nav, Dashboard | What Car? 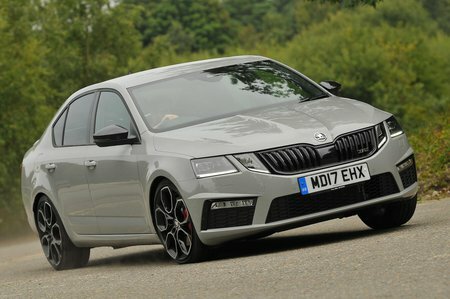 The Skoda Octavia vRS offers broad adjustment of its steering wheel and seat, and the pedals are well placed. Adjustable lumbar support and a central armrest are included, too. 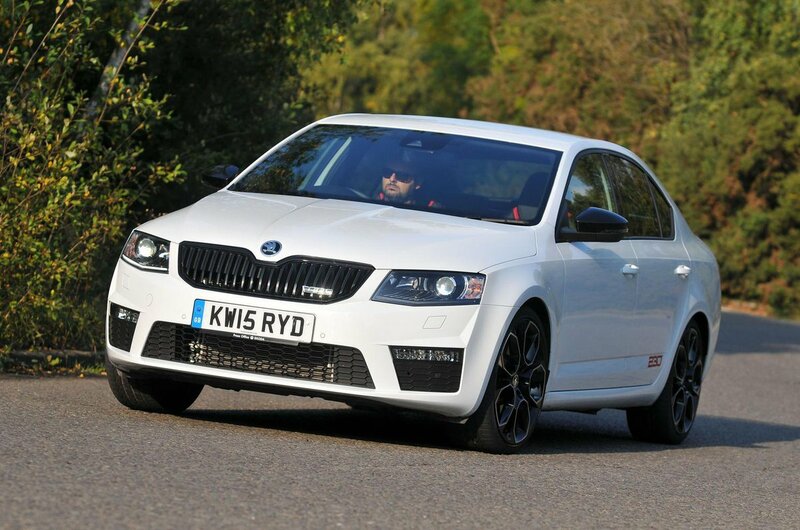 The vRS models get supportive, bespoke seats that are especially comfortable on long journeys. A new 9.2in infotainment system comes as standard and does away with the old system’s simple array of switches around the screen. Instead of tactile buttons, it’s entirely touchscreen, which makes it a bit harder to select the main menus on the move. Aside from that slight ergonomic annoyance, it’s a brilliant system that’s very bright, clear, well ordered and responsive, matching anything else in the class. Forward visibility in the Octavia is good; the windscreen pillars rarely obscure your view at junctions or roundabouts. Over-the-shoulder visibility isn’t great, though, as the car’s chunky rear pillars can block your view of vehicles that are overtaking in the next lane. The estate’s rear visibility is similarly obscured. In parking situations, it’s easy to judge where the bonnet ends. Rear parking sensors are standard while front and rear sensors together are an option. They’re a worthwhile feature because the vRS is a long car, and it can be a little hard to judge where the boot ends, especially as an estate. A rear-view parking camera is an option on all models, again with the exception of the entry-level S version. Some of the materials around the lower parts of the cabin and around the seat bases feel more durable than upmarket, but the plastics in more prominent areas are textured and pleasant to the touch. The switches are nicely damped, too.